A very popular gun for polyurea coatings as well as urethane foams, the Graco/GlasCraft® P2 gun is easy to handle, letting you spray and maneuver easily to get the job done. 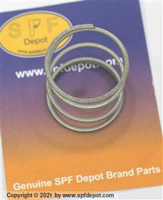 When needing to replace your OEM parts, consider SPF Depot brand parts. US made with longer life, lower cost and supperior service after the sell. Purchase this high pressure side block for your Graco® P2 spray gun for high pressure housing. 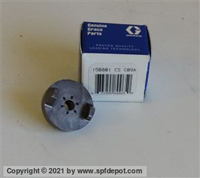 Also available are the filter screws, screens and the former side blocks for guns made prior to 2013, we have the GC1881 and GC1882 blocks, filter screws and main center body section.